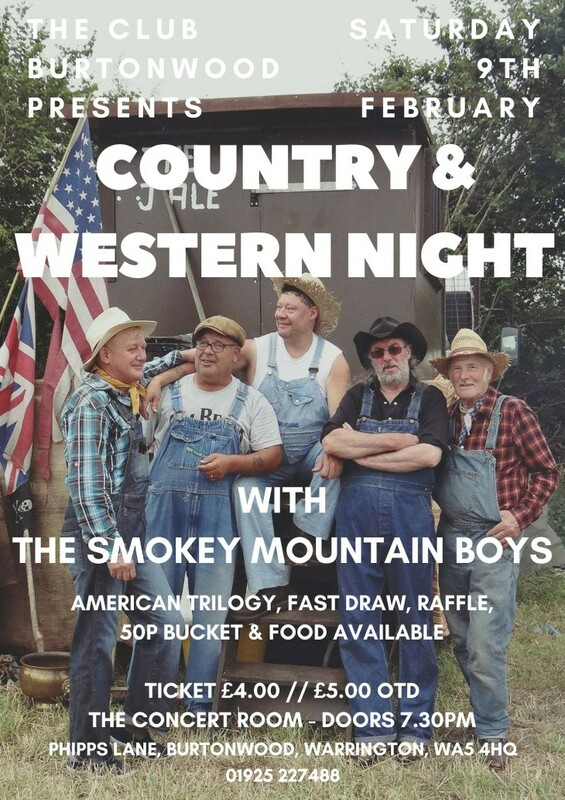 Join us for our Country & Western Night featuring the sensational The Smokey Mountain Boys! Plus American Trilogy, Raffle, 50p Bucket and we'll also have food on sale. Make sure you join us for another fantastic night of live music and great entertainment!